Searching for an affordable and stress free moving services, then Movers Plus is the company where every costumer in Frisco rely upon. They strive to provide good moving services. They are specialized in residential, commercial, local and long distance moving, piano and Gun safe moving, Packing, crating, unpacking, fine art services, antique stuff packing, moving, furniture disassembly and reassembly, loading, hoisting and unloading trucks. Moving heavy items, such as safes, pianos, pool tables, etc. is no problem for them. Their crew team are trained and dexterous movers, they provide extra care and respect to the belongings. 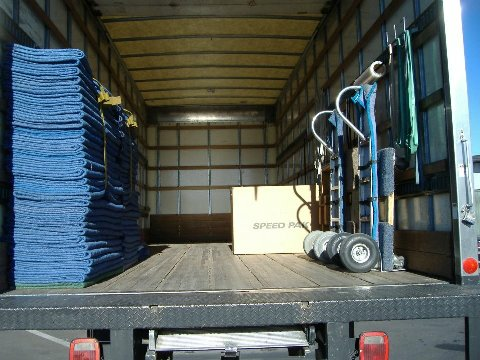 They value each and every aspect of the work, and ensure that the customer receives the best moving and packing experiences. They are friendly and work minded from the start of the work to the end of the relocation process. They maintain good communication with the clients and work as per their needs and requirements and make them feel comfortable and hassle-free and give them memorable experience. They are licensed and insured company where providing a secure move without any damage. They never bother about short or long distance moving of client house or office; they constantly put on effort to keep the items safe. For free estimation drop a quote or call them. Movers Plus was established in 2014, they have 31 years of experience in moving industry. They are a servant leader company and focused at all times on creating a great moving experience for the client.They are very smart in dealing with the customers and provide 100% satisfaction. Gina M is the business owner of Movers Plus and founded in order to help the need for more quality moving service. They take customer service seriously (because everyone deserves a great moving experience) while providing comparably affordable rates. 6136 Frisco Square Blvd, Ste 400-A, Frisco.